This little corner flower garden brought a smile to my face. 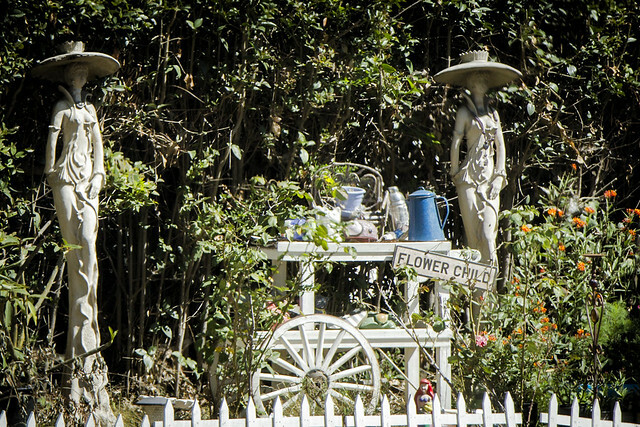 The two ladies dressed in fashions from a century ago oversee all these blossoms surrounding their "flower child" work table. And if you look closely, you can even see Ariel the little mermaid peaking out from behind the picket fence.